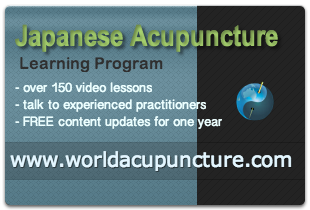 What’s going on with Japanese Acupuncture and www.worldacupuncture.com? Japanese Acupuncture treatment for severe respiratory condition. TRADITIONAL JAPANESE ACUPUNCTURE WORKSHOP WELLINGTON NZ. THE VIDEO of Masakazu Ikeda’s 3 Day “Wisdom Of The Classics” Workshop Available Soon! Japanese Acupuncture for Lower Back Pain in Prague.